It’s #ChickLitMay! 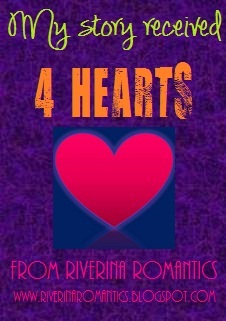 Otherwise known as Chick Lit Chat’s celebration of International Chick Lit Month! Today we’re teasing our chick lit/romantic comedies by talking about what’s on page 45. And you can enter to win some yummy caramels! Keep reading! Picture This, the second book in my small-town Marsden series, is the story of Celia, a sweet woman in her thirties who left behind a failed marriage, but an otherwise comfortable existence, in her Catskill Mountains village in central New York. She’s working as an assistant to a high-powered, famous photographer in New York City, when she meets comedic movie star Niall Crenshaw at a photo shoot. Niall immediately falls for the lovely Celia and pursues her even though he’s ostensibly dating Tiffany, his costar from his last flop (in an unfortunate string of flops). Celia doesn’t know it’s a fake relationship ginned up by the studio to give the movie a boost. While he’s wrapping up his contractual obligation with Tiffany, Niall can’t talk about it with anyone…even Celia. Although he’s dying to tell her the truth, of course. After sharing a kiss with Niall at a party at his loft, Celia feels massively guilty and stays away from him, even going so far as to go on a blind date with a “normal” guy. But Celia can’t concentrate on Mr. Normal when Niall’s inundating her with a series of silly texts. When she comes home from the date—alone—she finds Niall on her front stoop, surrounded by balloon animals he’s made. Who can resist a guy who can make balloon animals? Plus he’s there to apologize for disrespecting Celia by asking her out when he’s still “seeing” Tiffany, but Celia stops him in his tracks. “Doubtful.” He laughed softly, and Celia smiled. Do Niall and Celia get together? Well. It is a romantic comedy. Do they have an easy time of it? Where’s the fun in that? Find out what happens next—grab Picture This while it’s on sale for only 99 cents all month, all e-formats! Although all my Marsden books can be read as standalones, if you want to start from the beginning, the first one, Down on Love, is only $1.99 this month as well. And No. 3, Lucky for You, is publishing August 18! ◊ The Girl Next Door (Crème Caramels): A scrumptious, full-bodied caramel. Old fashioned, melt-in-your-mouth bliss! ◊ The Charmer (Chocolate Crème Caramels): This smooth, chocolate cream caramel will add panache to your day. An exquisite and elegant morsel, simply irresistible. ◊ The Bombshell (Lemon Crème Caramels): A bodacious bit of heaven with a bold citrus pallet. They will leave you satisfied and refreshed. Caramels are a girl’s best friend! 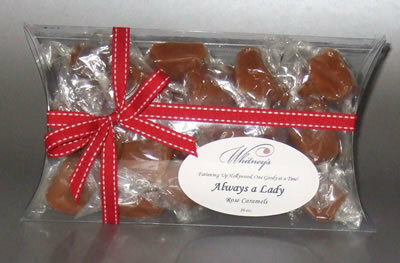 ◊ Always a Lady (Rose Caramels): A delicate bouquet of rose essence infuses this lovely caramel: alluring, tantalizing and reminiscent of another era. They are perfect for weddings and bridal showers. A definite for ladies who lunch or breakfast at Tiffany’s. To be entered to win, all you have to do is leave a comment on this blog post—in just a few words, say why you think Picture This would be a good read. (No, this is not just blatant trolling for compliments! It’s a legitimate contest question! Really!) Anyway, be sure to leave your full name and e-mail address so we can contact you. A winner will be chosen via Random.org on Tuesday, May 19. Please note: This giveaway is open to U.S. residents only. Check out all the other great “What’s on Page 45?” entries in our blog hop! Leave a comment on each blog and you’ll be entered almost 40 times! Sweet and silly in all the best ways. (Balloon animals as a wooing device – what a great idea.) I love your books Jayne! Fun concept! Love the balloon animals! I love movie stars as book characters! Read this book and loved it. Niall is great. Love the sound of this book! Great post.